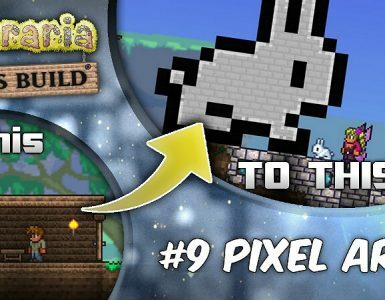 The aim of this guide is to show players, new and old, the scene of modded Terraria, Tmod Loader, some mods to start with, and some more useful mods/things to be aware of. Modding in videogames is the process and application of unofficial (Not by developers) content or changes to the videogames in question. Content addition is self-explanatory. New content is added to the game in synergy and flow to the original product. Optimization is correcting or removing bits and pieces of the game to ensure the game performs at a reasonable speed, either with framerate, or internet connection in some cases. Cheating is also considered a form of modding by definition up above. Although frowned upon by many, using cheats is still considered modding. Whether you should mod or not is based on personal preference and the right know-how in using mods without breaking the game and having to reinstall. Some may argue the original game is the absolute best way to play, but the best way to play is entirely subjective (based on the player). I personally recommend modding. Modding adds in content and mechanics that can change the way you play, feel, and experience the game. In other words, modding is a refreshing experience. 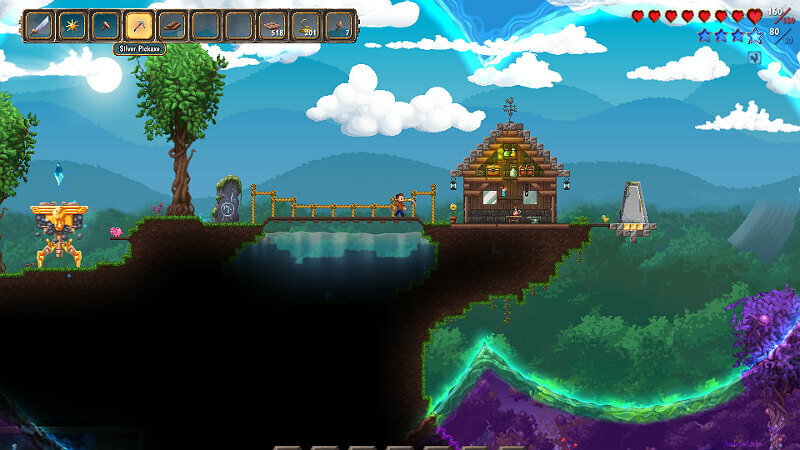 Where and How Can I Start Modding Terraria? I recommend creating backups of vanilla worlds and characters just in case anything goes wrong. Mods contains the different mods within the folder pertaining to them. You can enable and disable different mods, or use modpacks. Also contains a button that opens the mod folder. Mod Sources is for building mods. You can use it for images and .cs (programming language) files. Mod Browser lets you browse, download, and update mods. You can view mods by alphabetical order, popularity, downloads, updates, or client related mods. There’s also a search bar in the upper right. Some mods are too large to be in the Mod Browser, so you may have to visit the mod page to download or update them. When you take a look at the browser, it may be overwhelming viewing all the different mods, their uses, and whether or not they are worth the download (downloads/updates may take a while). Mods that are too big need to be downloaded from the mod page and placed into the mods folder. Choice from Calamity, Spirit, and Thorium. While you can have as many as you want, at the expense of CPU resources, I would recommend just 1 of these, namely Calamity, so it’s not totally overwhelming, but you don’t have to do so. 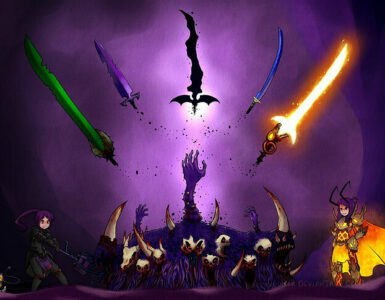 If you were to browse the artwork section for Terraria on steam, modded artwork would mostly consist of Calamity. Bosses also have their own unique music, composed by DM DOKURO. 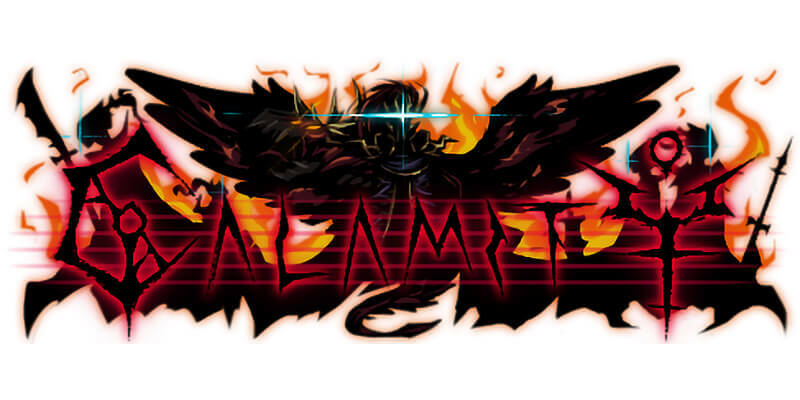 Calamity is my personal favorite, yet one thing about the mod is that the weapons and bosses are vastly stronger and more difficult compared to the rest, but are still fantastic. Yharon, Jungle Dragon is used for the thumbnail to the guide too. As far as the difficulties go, you may wanna chill out on expert or if you’re pretty good at the game, Revengence mode for a while. Death mode is a hell of a task to do especially with lower tier gear for bosses, as they were made less linear in terms of progression. Fargo’s is mainly based around the Mutant NPC for boss summons, and the accessories throughout the game. The Mutant is very useful for when you don’t want to grind for summons, and the accessories are pretty powerful. The Mutant is one of the main reasons I use the mod. Grinding for summons take a very long time. The other things are also very nice, I enjoy using the mod. “It remakes guns, magic, player movement, broadswords, shortswords, hammers, chainsaws and other tools, adds seasons, dodgerolls, block climbing, walljumps, wallrolls, atmospheric sounds & footsteps, emotes, a weakness & resistance system, it makes gore ridiculously enjoyable, adds blood on tiles, a fire and an electricity systems, makes a lot of stuff more interactable, enhances enemy ai, completely remakes player rendering, makes trees fall like in starbound, and does a thousand more things i can’t even memorize. TL;DR, most game mechanics are redone, such as weapons, environments, seasons, and AI. 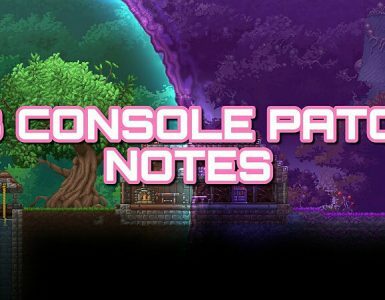 Also includes optimizations for Terraria’s “unique” code. As one man once said, “According to all known laws of coding, Terraria should not be able to run”. The focus of the mod is to remake existing mechanics and make new ones rather than add new content, and the mod does this very well. The game can be more difficult if you’re not used to it, but the plus sides include charging up weapons, and better dodging mechanics. Some mechanics, such as fire burning houses down, can be disabled in the options. Overhaul is one of those mods in gaming where the makers look at the game and find out what’s wrong with it, or what could be changed for the better. 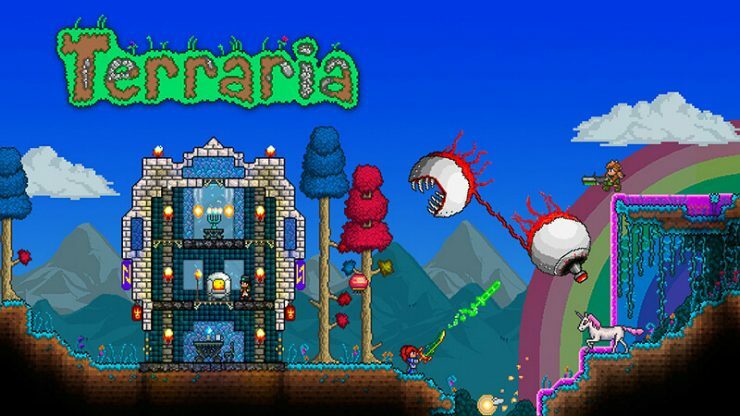 This mod is one of the best out there if you’re looking for a refreshing Terraria experience. I recommend this mod because it will feel like you’re playing something else if that makes much sense. The Spirit Mod by PhoenixBlade, or Yuyutsu on the forums, is also one of the most popular mods as of writing. 10 new bosses and 6 new minibosses to fight! 2 New Events, The Tide and The Blue Moon, to take on! And of course, 2 new biomes, The Reach and The Spirit Biome, to explore! The Spirit Mod is a really good mod. Having new events and biomes is a refreshing experience. I have nice experiences with the mod, especially with the addition of artifact weapons, or weapons for the classes that improve as you upgrade them throughout the game, from early prehardmode all the way up to post-Celesial Pillars. The mod is pretty well balanced. Nothing felt too weak or too powerful throughout my playthroughs. I recommend it. Antiaris is made by the same people behind the Tremor Mod. They decided to create Antiaris because they decided quality>quantity. The Antiaris Mod[forums.terraria.org], made by zadum4ivii and co., is one of the most popular mods on the browser as of writing. I recommend making a new world and character for first impressions, as structures are generated throughout the world each with their own unique features. The Antiaris is actually pretty damn fun to play, though one of the bosses was a little silly with the way they constantly charged at you while reflecting magic projectiles, but that can be worked around. I recommend this mod because having structures around the world is a really nice addition more mods should have and adds to the exploration factors of the game, and the rest of the content is nice as well. 180 new enemies and banners! 150 new tiles, blocks and furniture! A new biome, the Aquatic Depths! 2 New classes, the Bard & Healer! Thorium is another major content mod, adding various items and even a couple new classes, spicing up the gameplay a bit. I find Thorium to be a very fun mod, and would recommend at least trying the Bard Class, or the healer if you feel like it. Both classes are support classes, the Bard buffing himself and others around him for a short period of time, and the healer, of course, healing others. Questions asked in the comments or some common ones will be located here, and answered as best as possible. Q1. Missing files, and the game won’t start? A. Either the files need to be unzipped, or extracted properly into the terraria steam folder. Q2. Mod browser won’t load? A. The mod browser takes a long time to load at times. If it won’t load, either tMod needs to update, (you can find the version in the bottom left) or your internet is not powerful enough, and it will take longer, if at all. If the browser won’t work, you will have to visit the mod forums and go from there. Q3. Do multiple mods work? A. Multiple mods will work, so long as they are compatible with each other. Most mods I find to be compatible with each other. Q4. Characters and worlds are gone? A. tMod and vanilla save characters and folders separately. 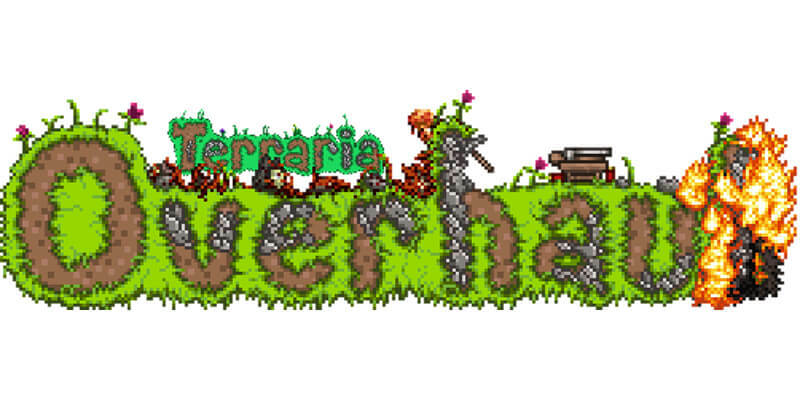 Use the vanilla .exe Terraria if you want to play vanilla Terraria. You can use “verify game cache” when selecting terraria in the steam library if anything goes wrong. Q5. How to install mods? A. Begin by downloading a mod. If from mod browser, download desired mod and head into the “mods” option on the main menu, choose to enable/disable mods, and reload them. Alternatively, download a mod from the forums, and drag the mod file into the mods folder, which is also accessed through the “mods” option on the main menu. Reload mods once enabled or disabled. If the game disables mods by starting up, reenable the mods and reload. Bringing another application into focus will mess with the loading. Should the game crash, do the same as before. Always try to keep mods up to date, as some won’t work with newer versions of tMod. Q6. Game crash when loading mods? If these solutions don’t work, you may have to visit the forums and talk to the folks there for a solution. Q7. Could you add this mod to the guide? A. While I’m happy to see people come over to the guide and recommend content to add, I can’t just add any mod to the guide. They have to have a reputation in the modding scene and work very well. The mods I chose for the guide are ones I have played with, enjoyed, and would recommend. Random mods may not get much in the way of making it here. I’m putting in mods that have made a name in the modding community, are fun, work, and I personally recommend. Questions not here may have to be asked either in the comments or are in the FAQ linked in the previous section. Some questions I may not have an answer to, apologies. I gave this one its own section due to being a pretty nice topic on tMod people may have issues with. If you’re not using steam for multiplayer joining/hosting, use your computers IP, which is not 127.0.0.1, the local hosting. You can look for your IP. After giving your friend the IP, host a world, and open the tModServer file in the terraria folder, set the port, players, etc. Hosting a tModLoader server isn’t really much different from normal hosting. The difference being having mods, tMod, and Terraria being the same version as the host, and the file you use to host a non-steam server. By now you should have already installed your first mod or two or even 100 (God bless/help your machine), and are seeing the new experiences they can give you, and entertain you. Modding games is a difficult thing to do when adding in good content, so hopefully I provided you with a starting point in finding the content, whether or not it may have been easy in the first place. I am Nameless, thank you for reading, I hope you have a fantastic day! Tips, and constructive criticism are always appreciated.